This past September, 15 church members were injured and one killed when a 15 passenger van rolled over as a result of a rear tire mishap. This accident eerily resembles a 2003 Missouri crash that injured several passengers and killed two. Both scenes were single vehicle accidentsthat occurred because the tread had separated from the left rear tire. In the Missouri accident four separate entities were blamed for the accident, including the car and tire manufacturer as well as Walmart. 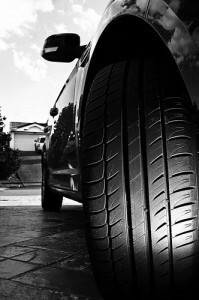 Walmarts role in the lawsuit was the negligence of its tire center in the maintenance of this particular vehicle. Just one month prior to the crash the van had been serviced at Walmart. Records for that visit showed that employees did not properly check the tires or inflate them. This type of vehicle requires a psi of 80 for its rear tires. The tire that blew out was only inflated to 50 psi at the service center.